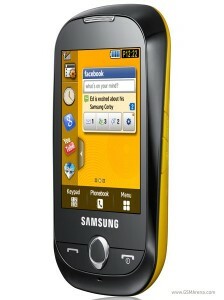 Samsung S3653 Corby is aimed at tech-savvy, young and fresh audience, who like to personalize and customize their phones. 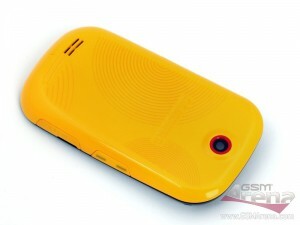 Just like its target audience, the phone is stylish and has a fresh look. This entry level touchscreen can make it big as it quite nicely seems to suit both the user’s liking and budget. Well, the stores are already reporting good response to this little wonder. Let’s see what it has to offer. The Corby has a nice curvy body and a very attractive design. It is quite light and nicely fits in your palm, making it ergonomically perfect. The left side of the phone has the volume keys and charger/headset slot, while the right side has the hold (keyboard lock) and camera buttons. The MicroSD slot is below the battery cover, yet is hot swappable. The plastic body is perfectly finished, and the Corby looks much more rich in hand compared to Samsung’s own STAR range and a few other competitors. Needless to say, the looks are pretty amazing. The glossy finish adds to the beauty, but it certainly does attract fingerprints. It is quite resistant to scratches, which makes it a good choice for daily rough-use. The 2.8″ Touch Screen takes center stage on the S3653 front. It has a standard 240 x 320 pixel resolution. It uses the superior Capacitive Touch Technology that is a treat to fiddle with, though its image quality isn’t as impressive as that on high-end Samsungs with capacitive displays. The capacitive touchscreen requires only a touch rather than a push to register a click. Even the lightest of touches work, which probably one of the greatest advantages of the phone. As far as the calling in concerned, there absolutely no complaints. Zilch! It does its work perfectly with great voice quality. The loudspeaker performance, the dialer and contact management, all are fine. The S3653 is not a smart phone, but the software is quite good for basic navigation, music, text messaging and other basic stuff. The TouchWiz interface feels right at home in this entry level touchscreen, in which fun and ease of use are the key. Corby has 3 home screens, and you can pull out icons from the sidebar to any of the screens. The menu similarly has 3 pages. You can ‘flick’ around the screens and pages like the iPhone, but the experience isn’t as smooth as it is on the iPhone. This is not an issue with the touchscreen but rather with the UI behavior. It comes with a standard virtual keypad, and T9 comes into good use here. A QWERTY Keypad is missing though. 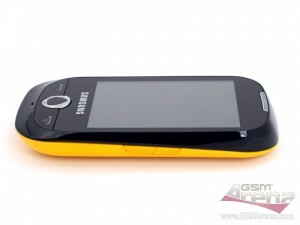 The phone is quite user-friendly and one can easily get used to it in a short time. It, definitely, is not a camera centric phone, but is pretty decent. The Corby features a 2.0 MP camera compared to the 3.2 megapixels that most its competitors have. It lacks a flash and that might be a concern. But the camera clarity looked good surprisingly. The Corby’s bright display makes it look much richer than it is. Well, the phone comes with all the standard organizer widgets like the calendar, alarm clock, calculator and to-do lists, memos and notes. The interface is quite decent and the widgets are easy to use. The alarm clock is pretty useful that allows you to set up to 10 different alarms with personalized tones. As a pleasant surprise, the Corby comes with an office document viewer that supports Word, Excel, PowerPoint and PDF files. It is rare in a non-smart phone and it works well. The S3653 Corby is a simple, affordable and attractive touchscreen with modest but very focused feature set. It is designed to be small, to suit the social needs of youngsters and to be trendy. There’s nothing unique about it’s features, but the way it is packaged is surely amazing. The capacitive touchscreen makes it standard apart in its category and gives you the value for money. The Corby makes sense as an entry level phone, offering all that the target audience wants. well said..my corby wins accolades from every critiques..
i got problem with touch screen in SAMSUNG CORBY. There is two horizontal lines crossing the screen. I worked a lot of work, thanx. I am shocked to know that it is such a cheap phone, available for only Rs.6300/- in Karol Bagh’s Gaffar market. Worth more than that. Will give competition to Nokia for sure. I’m planning to get a mobile postpaid line with this phone as its package. should I get this one or should I go for the Nokia 2700c that is also available in same package? and i would appreciate every response to this question. Now the price has been declined. Available for Rs.5500 only at online and offline.